It’s farewell for Reverie. Deadline reports NBC has cancelled the TV show after one season. The drama centers on Mara Kint (Sarah Shahi), a retired hostage negotiator who begins helping people who have essentially lost themselves in an immersive virtual-reality experience. The cast also includes Dennis Haysbert, Sendhil Ramamurthy, Jessica Lu, Kathryn Morris, and John Fletcher. NBC‘s cancellation of Reverie is hardly surprising. Ratings were never particularly high for the high-concept drama. Season one, which wrapped in August 2018, averaged a .44 in the 18-49 demo and 2.101 million viewers. What do you think? Have you seen Reverie? Would you have watched a second season? More about: NBC TV shows: canceled or renewed?, Reverie, Reverie: canceled or renewed? 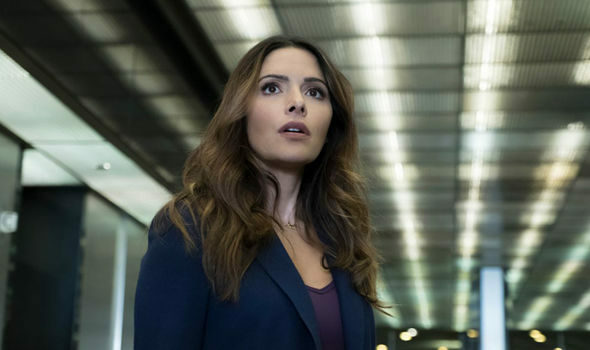 Reverie: Is the NBC TV Series Cancelled or Renewed for Season Two? Trial & Error: Cancelled by NBC? Season Three Being Shopped by Warner Bros. I love the show mainly because I love Sarah. Please bring her back,I love Person of Interest which she was in and they cancelled that also. They both were great shows and a nice change from the dumb minded shows on now. That is very disappointing that the show has been canceled. It was a good show and it was different from all the other crap that is on TV. The show had good actors and a good story line. It was different from all the other shooting killing and morbid shows that is presently on TV. I am really sad there will not be a second season. I was hooked on the concept but mostly on hiw the caracters developed and became almost like my friends. I wanted them to get out on time, wake up on time, but mostly continu to have feelings and explore them through their dreams. The cliff hanger of will Mara be able to walk through the air in her Reverie has left me wanting a second season. They canceled it? I must be dreaming! Very disappointed this was not renewed! It was a great concept! Loved the show! I would LOVE to see another season. I HATE how they left us hanging not knowing what was going to happen. Please renew this show. It was a fresh idea. Give it some time to catch on. I wish there were more shows that challenged the way we think. Tv, like good books, shouldn’t just be about entertainment but helping us think about the possibilities and how we may deal with those situations should they become real. Reverie was a great show, a look at a possible future, do we want that future or not? Try the show Designated Survivor! Two seasons from ABC and now Netflix is picking it up to continue it! All the episodes are there and it’s really interesting! Yes this show was great and was different, I loved all aspects of this show. I should diffedntly be renewed for a second season. Yet another show on NBC I enjoyed very much, that has been cancelled! Unbelievable! So sick and tired of getting to love a show, only to find it being cancelled on this network! I’m going to Antenna TV from here on out! I loved this show. How can they leave us hanging with an ending like that? I really was hoping for a next season. Boi to the decision makers. I loved this show. The concept was so different from others. Please bring it back!